I only discovered Dinah Jeffries a few months ago when "The Tea Planter's Wife" was part of the Richard & Judy Book Club selection. I thoroughly enjoyed the setting, era and relationships portrayed in the novel and it was a refreshing change from my usual picks. While having a mutual appreciation / rave about it over coffee a friend told me about "The Separation" which I immediately went and took out of the library on my way home! (Life of a bibliomaniac!) It's always exciting to discover a new author..... but so disappointing when you catch up with all their novels in too short a space of time! So I was even more delighted when I realised that Jefferies was obviously not one to disappoint her fans and had been busy writing her third book which is published on the 25th February. With an equally appealing cover as her previous titles, Jefferies once more sets her book in Asia. This time it's 1952 French Indochina and eighteen year old Nicole, our protagonist, is living as a French colonial in Vietnam's capital, Hanoi. The story follows Nicole over the next few years as she learns about overcoming obstacles in love, politics, family and the cost of making choices; all set against the turbulent backdrop of the threatening conflict between the nationalist Vietminh and the governing French as they fight each other for control in civil unrest which would later become the Vietnam War. This is a story of a search for belonging and identity. It is a story of a girl not only caught between political conflict, but between lovers, between her family and between her heritage. It is a story about a girl who is constantly pulled in two different directions; who doesn't really fit into either world but attempts to belong to both. Nicole learns to negotiate her way through this conflict, revealing an inner strength and instinct for survival which she never knew she had. Nicole is half French and half Vietnamese. She takes after her mother with her Vietnamese looks. 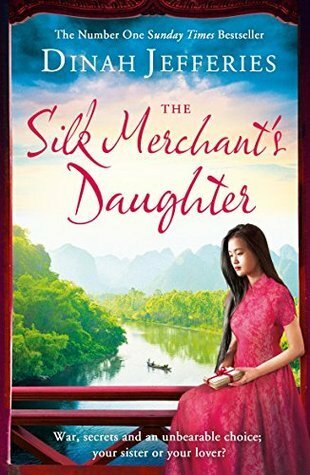 Her sister, Sylvie, is more French looking and her father's more favoured daughter, gaining control of his successful business while Nicole is passed over and offered a derelict Silk shop in the Vietnamese quarter of town. Nicole works hard to build a good business, inspired by the costumes and accessories she sees around her and nurturing a real appreciation of the fabrics she sells. The description of the silk- the colours, patterns, textures and designs are beautifully recorded. She makes friends with O'Lan who becomes like a sister to her. But still, she harbours a bitter grudge against her own sister. When she meets American Trader Mark she dreamily believes he is the perfect man for her - but is he to be Sylvie's too? And what exactly is his involvement with her father and his secret entanglement with the cruel torture and murder of Vietnamese rebels? She turns her affections to Tran, a Vietnamese insurgent, but choosing him takes her away from the safety and security of her family and home as she becomes deeply caught up in the world of militant rebels fighting to end the oppressive French rule. Her traumatic experiences test her strength and resilience to the extreme. Nicole is a young girl whole ultimately wants to please her family, belong and be loved. She is an ordinary teenager caught up in a challenging and troubled era meaning she experiences corruption and complex politics that will affect her and her life choices. I thought this book was really a coming of age story as we see Nicole learn to accept who she is and define her identity. There are some very emotional passages about sisterhood and sibling rivalry as both Sylvie and Nicole have to recognise their behaviour towards each other and take responsibility for the hurt they have caused each other. They fall in and out of trust with each other. The pattern of lies and deception is dramatic and means that yet again, Nicole is never sure who to trust and whose story to believe. Sylvie's behaviour towards Nicole as the novel reaches its dramatic climax are particularly well evoked, and the final reflection of their relationship is particularly powerful. Nicole is also caught between her feelings for Mark and Tran as they are also inconsistent and not always truthful about their feelings or involvement with the events unravelling around them. I found myself deeply sympathetic towards Nicole and her naivety during her time with Tran. This is a portrait of someone learning about love and heartbreak. I also liked that I was never fully certain of Mark's motives and his mysterious disappearances add yet another layer of drama and tension. This novel is much more of a love story than Jefferies previous titles. I think the romantic element of the story is the most central theme. The novel is about love between couples, fathers and daughters, mothers and daughters and sisters. It is a great exploration of one girl coming to terms with all these things. Jefferies fascination with two worlds is apparent even in the last few words of the novel: "that was the end. Or was it the start?" 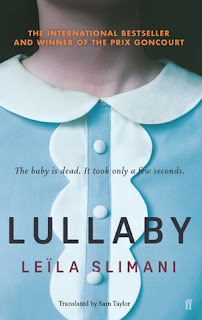 I was intrigued by the ending and all it revealed about Sylvie - is this the start of Jefferies next novel? Oh I do hope so! This book has a staggering 4.36/5 stars on Goodreads and I would recommend it as an enjoyable read with some excellent description of the setting and era. I would also highly recommend "The Tea Planter's Wife" and "The Separation" if you have not yet discovered them! Many thanks to NetGalley for the advanced copy of this novel in exchange for this fair and honest review.